Hike has partnered with leading eCommerce platforms, including BigCommerce & Shopify to provide vendors, the resources to enhance their online stores. Our accounting integration with apps such as QuickBooks Online & Xero gives us the edge in giving users the best POS experience. Hike gives vendors the freedom to have each of their outlets connected to multiple eCommerce sites and accounting platforms. It’s the perfect solution for franchise owners that want to be able to easily distinguish reporting, for each store separately, making it easier to see the top performers. Whether you’re a seasoned point-of-sale user or just starting, Hike makes retailing more simplified. Enhance your in-store experience with Hike’s iPad app, that sees your product catalog beautifully visualized on the tablet. Make life easier for your staff and impress your customers, with Hike POS! Our customer service team is available 24/7, to answer all your questions. In addition, our extensive support material and online webinars are available to ALL customers. Whether you’re an existing user or just trialing Hike for the first time, get Hike’s excellent customer support, FREE of charge. From the onset, Hike has maintained its commitment in providing vendors with a robust point of sale system at an affordable price. Starting as low as $49 USD per month, Hike offers an economic solution to manage your entire store’s operations. Take advantage of our free trial and check out Hike for yourself today! With Hike, retailers can get a detailed staff management tool that is completely innate to our POS. Schedule employee hours, manage public holidays, organize shift changes and leave with our easy-to-use roster management system. 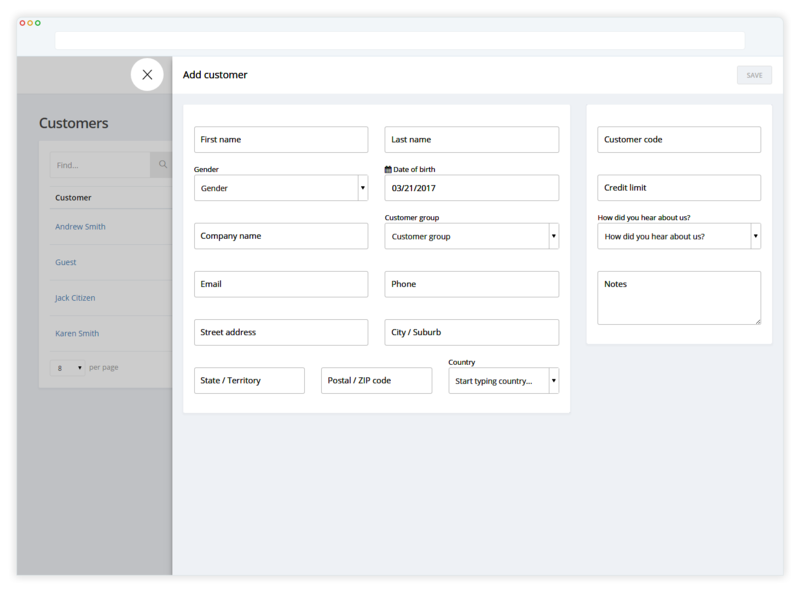 Easily define customer groups and enable set tiered pricing across multiple products. Set discounts in any way you like, as Hike supports any number of price tiers. Furthermore, you can also print out customer ticket dockets, whereby customers waiting in a line can get tokens that determine what order they are in. Our bread and butter is retail, which is why we’ve focused our efforts on creating the best point of sale system on the market. Vendors love our POS because they know it’s designed exclusively for them, and not as an added afterthought. Our retail experience has allowed us to craft a solution that takes care of all your retailing needs. Our inventory is especially user-friendly, with our Purchase Order system freely customizable to a retailer’s needs. Edit cost prices for a product, directly from its PO, and even accept partial orders, saving valuable time. Hike even lets you integrate your inventory with accounting apps like Xero and QuickBooks Online.